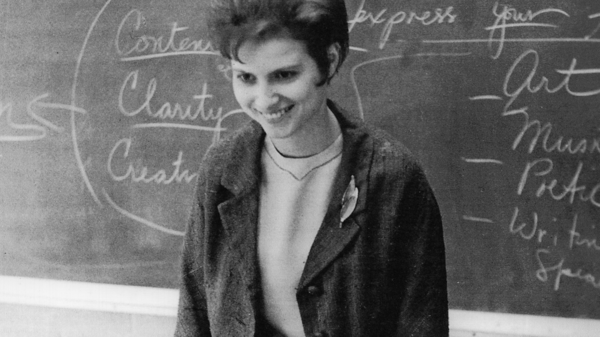 Sister Cathy Cesnik's 1969 murder remains unsolved. Jean Wehner tells NPR that her school's chaplain started abusing her more than a year before Cesnik's murder. Jean Wehner is one of those students. She attended Archbishop Keough High School in the late 1960s. Wehner tells NPR that she was "systematically abused, manipulated, raped, conditioned by [school chaplain] Joseph Maskell for a good year and a half before any of this with Sister Cathy happened." Wehner buried her memories of the abuse, and they stayed buried until 1992, when she began to remember things — like telling Cesnik about what was happening to her. After their conversation, Cesnik transferred to a different school, then disappeared. She was found dead nearly two months later. Her murder remains unsolved. Wehner believes Cesnik may have been killed for knowing too much, but Maskell always maintained his innocence in both the killing and any abuse allegations. (He died in 2001.) The Archdiocese of Baltimore denied that there was any cover-up, but they have paid nearly $500,000 in settlements to 16 people (including Wehner) who accused Maskell of sexual abuse. That's one of the first memories I had of her. And that was the last day of school and she was just talking very comfortably about what did I think of school, you know, how was I doing? And I said I didn't really care too much for Keough. And she really nonchalantly was saying, "What's going on?" And I said I really didn't want to talk about it. And she said, "So how about if I talk to you and you just nod your head?" She began asking me questions about was anyone there making me do something I didn't want to do? And I shook my head yes. Then she asked was it anyone that she knew? And I shook my head yes. She said, "Is it the priest?" And I shook my head yes. And she said, "Oh my God, I suspected as much." And she gave me a big hug and she said, "I want you to go have a nice summer. I'm going to take care of this." He knew that I was concerned and upset that she was missing, and he made it sound as if he knew where she was — he knew where she was and it was as if she were alive. And did I want to go see her? And so I am taken from the school. We're in the car and the man would speak nonstop like he was giving a sermon, and a lot of what he would be saying is about what happens to people when they say bad things, and that you really need to be a good person and that when you're not good — just on and on and on and on. All I was thinking is Where is she? ... I'm thinking she's alive. So we go around a little bend and he stops the car and I'm thinking, What is she doing? There's no houses or people, what's she doing back here? And we get out of the car and he's in front of me and we go walking back and he goes around a little bend and he moves over and I see this clump on the ground and I recognize it to be her. And I ran over and I got down on the ground and there were maggots in the side of her head. And I began wiping her head, her face, and saying, "Please help me, please help me, please help me." And he came down beside me and he said in my ear, "You see what happens when you say bad things about people." One of my coping mechanisms is looking in control and looking like I'm really very strong. So what you see is what I want you to see, who I am is who I need you to see me as. But when I go home and I curl up in the bed and I cry, or I am so afraid to go out and be out in public by myself, or I sit and I wonder, What are they thinking? and Who's going to say I'm lying? I am both. And I'm constantly — and survivors will understand this — I am constantly integrating all of that horror with all that you see, because I had the right to be a very in control, strong, articulate, intelligent woman. Radio producer Gabe O'Connor, radio editor Jolie Myers and digital producer Nicole Cohen contributed to this story. Who killed Sister Cathy? 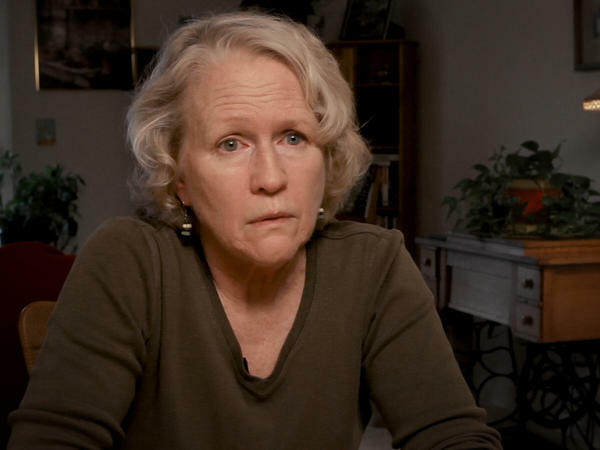 That is the central question of the Netflix documentary series "The Keepers." 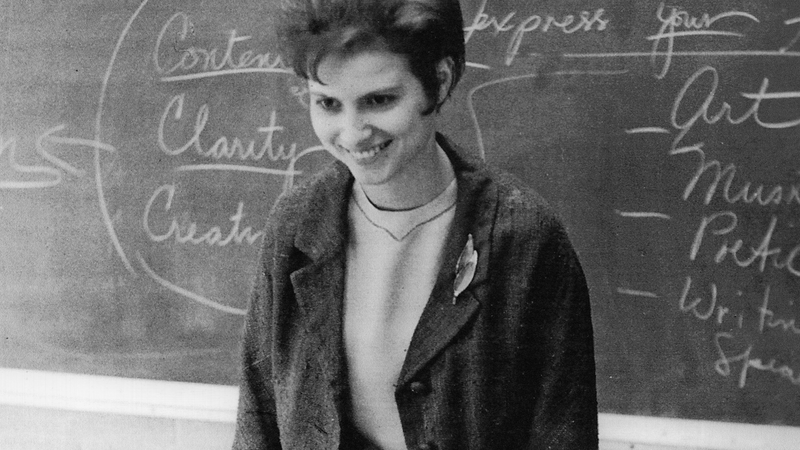 Baltimore nun and schoolteacher Cathy Cesnik was murdered in 1969, but the case was never solved. Now some of her former students are looking for answers. Over seven episodes, they tell a disturbing story of abusive priests, alleged police complicity and a possible cover-up by the Catholic Church. Jean Wehner is one of those former students who came forward to tell her story in "The Keepers." She says she was sexually abused for years by two priests and other men at Archbishop Keough High School in the late 1960s. More than 30 people say they were also abused by the same priest who was her main abuser. Jean Wehner believes Sister Cathy was killed for knowing too much about this abuse. I talked to Jean Wehner this week. She told me how she and Sister Cathy first talked about this. And just a warning - the next seven minutes are going to be intense. JEAN WEHNER: That's one of the first memories I had of her. And that was the last day of school. And she was just talking very comfortably about what did I think of school, you know, how was I doing? And I said I didn't really care too much for Keough. You know, and she really nonchalantly was saying, what's going on, you know? And I said I really didn't want to talk about it. And she said, how about if I talk to you, and you just nod your head? She began asking me questions about - was anyone there making me do something I didn't want to do? And I shook my head yes. You know, then she asked, was it anyone that she knew? And I shook my head yes. She said, is it the priest? And I shook my head yes. And she said, oh, my God, I suspected as much. And she gave me a big hug. And she said, I want you to go have a nice summer. I'm going to take care of this. MCEVERS: Sister Cathy transferred to a different school, and then she disappeared. And then it was found that she had been killed. The case remained unsolved. You graduated from Keough. You eventually got married. You had kids. And you basically buried the memories of your abuse. When did you start to remember? WEHNER: The pressure of it, I would say probably the beginning of 1992. MCEVERS: And one of the most intense memories you had is that - the priest who you say abused you is a man named Father Joseph Maskell - that he actually took you to see Sister Cathy's body. Is it OK to talk about that and what happened that day? WEHNER: Sure. What I would need to say is that I had been systematically abused, manipulated, raped, conditioned by Joseph Maskell for a good year and a half before any of this with Sister Cathy happened. When you talk about being taken to see the body, he was methodically creating a scene so it would play out in a way. I believed when I went into his room that he started talking to me as if she were somebody who was a close friend and he knew that I was concerned and upset that she was missing. And he made it sound as if he knew where she was. He knew where she was, and it was as if she were alive. And did I want to go see her? And so I am taken from the school. We're in the car, and the man would speak nonstop like he was giving a sermon. And a lot of what he would be saying is about what happens to people when they say bad things and that you really need to be a good person, and then when you're not good - just on and on and on. And all I was thinking is, where is she, you know? WEHNER: And so I can remember that we go down this area that's just all kind of trees. And I'm thinking, what was she doing back here? Why - you know, I'm thinking she's alive. WEHNER: So we go around a little bend, and he stops the car. And I'm thinking, what is she doing? There's no houses or people. What's she doing back here? And we get out of the car, and he's in front of me. And we go walking back, and he goes around a little bend. And he moves over, and I see this clump on the ground. And I recognize it to be her. And I ran over, and I got down on the ground. And there were maggots in the side of her head. And I began wiping her head, her face and saying, please help me; please help me; please help me. He came down beside me, and he said in my ear, you see what happens when you say bad things about people? MCEVERS: We should say that Father Joseph Maskell - he maintained his innocence in the killing of Sister Cathy and in any abuse allegations. And the Archdiocese of Baltimore denied that there was any kind of cover-up. But the archdiocese has paid nearly $500,000 in settlements to 16 people who accused him of sexual abuse, and that includes you. Do you think that the killing of Sister Cathy will ever be resolved? Do you think an answer is out there? WEHNER: ...Because I had to look at, how do I take care of little Jeannie, the me that was severed and left to die? I believe that people had the opportunity to do the right thing 20-some years ago with the lawsuit. What we have now is a lot less to go on, a lot less to bring to the courts. But I can be hopeful that someone will come to some kind of conclusion with what happened to Cathy Cesnik. MCEVERS: So many of survivors of abuse do not fare as well as you have. Every time I was watching you, I couldn't help but wondering, how have you managed to be so strong and to be so clear and to be so focused in what you're doing, in the work that you're doing? WEHNER: One of my coping mechanisms is looking in control and looking like I'm really very strong. So what you see is what I want you to see. Who I am is who I need you to see me as. But when I go home and I curl up in a bed and I cry or I am so afraid to go out and be out in public by myself or I sit and I wonder, what are they thinking and who's going to say I'm lying, I am both. And I'm constantly - and survivors will understand this - I am constantly integrating all of that horror with all that you see because I am very strong. I had the right to be a very in-control, strong, articulate, intelligent woman. And it has gone very much by the wayside because you see me speaking out about this. I could have been a professor. I could have been a lawyer. I may have been a doctor. I'm none of those things. But I will speak out because this is the truth. MCEVERS: Jean Wehner, thank you so much for your time today and just for your bravery. We really appreciate it. MCEVERS: Jean Wehner now works as a life coach. "The Keepers" is out now on Netflix.